The Illusionists: Live From Broadway is an incredible magic show, which is constantly evolving and traveling all around the world. The show features five of the greatest illusionists on Earth, who rotate between Broadway, domestic, and international tours of the show. This Friday through Sunday (Oct. 5-7), The Illusionists returns to The Fabulous Fox Theatre for four spectacular shows! 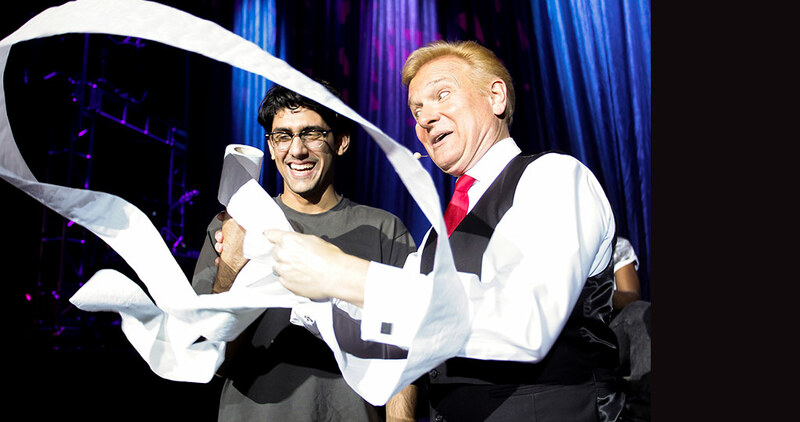 We had the opportunity to chat with Jeff Hobbs – “The Trickster” – about his career in magic, working with the other illusionists, and what makes their show so special. Jeff’s love of magic began when he was only seven years old. “I saw a magician at my school, and ever since that moment I knew what I wanted to do for the rest of my life,” he said. He was performing shows in his garage for other children in the neighborhood by age 11. Jeff’s act incorporates a strong comedy element, and he says that naturally evolved since the beginning. Jeff and the other illusionists in the show rotate between the domestic and international tours, as well as their home on Broadway. No matter which show you see, you get a variety of illusionists. In addition to Jeff (The Trickster), the tour coming to the Fox Theatre includes Darcy Oake (The Illusionist), Jonathan Goodwin (The Daredevil), An Ha Lim (The Manipulator), and Chris Cox (The Mentalist). And don’t worry, even if you’ve seen the show before, you’ll most likely see a new illusionist and new illusions. See The Illusionists – Live From Broadway this weekend at the Fabulous Fox Theatre in St. Louis (4 shows, Oct. 5-7). Tickets range from $29 – $95, and are available via MetroTix. For more information, visit fabulousfox.com or the official tour website at theillusionistslive.com.